Thank you so much for all of your donations to the St Matthew's Church Food Bank which were delivered today. We collected 7 bulging bags worth of items which the volunteers were delighted to receive. Thank you to Mrs Austin, Freddie and Harry for helping Mr Jowett to deliver the items. 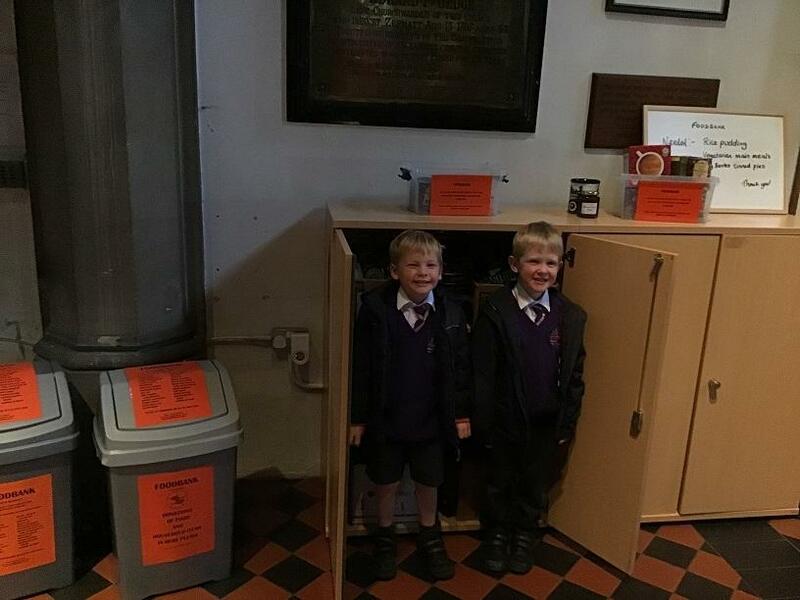 Freddie and Harry represented the school brilliantly and were so respectful and polite to the volunteers who enjoyed showing them all of the food that was stored for food bank users to collect.